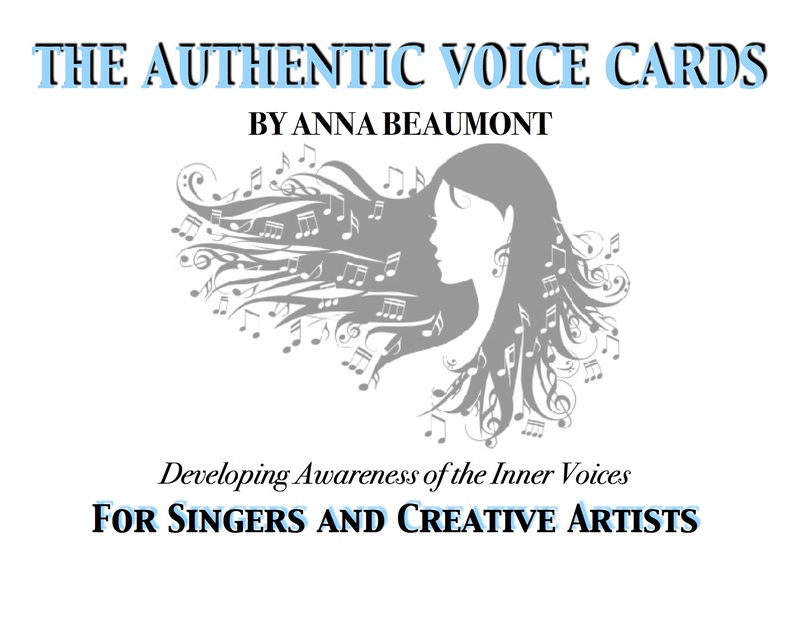 ♦The Authentic Voice Cards are designed to help singers and creative artists to identify certain voices inside of them that keep them from being free. 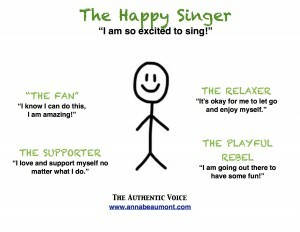 The Authentic Voice Cards are ideal for voice teachers, singers, artists and psychologists and for anyone who wishes to become free from the inner critical voices and embrace wholeness. Each voice in the Authentic Voice cards represents a personality or a voice that was developed in childhood to keep us safe and protect us from bringing attention to ourselves in a way that at one time might have felt harmful. Each personality or Self has its own belief system as well as an accompanying energy field that we believe we are. This field of energy and the thoughts that arise from it can cripple singers and creative artists. 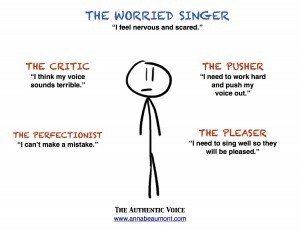 A voice that appears that says, ‘you don’t sound very good’, or, ‘you are not enough,’ has stopped many a singer in his or her tracks, for their whole lives. 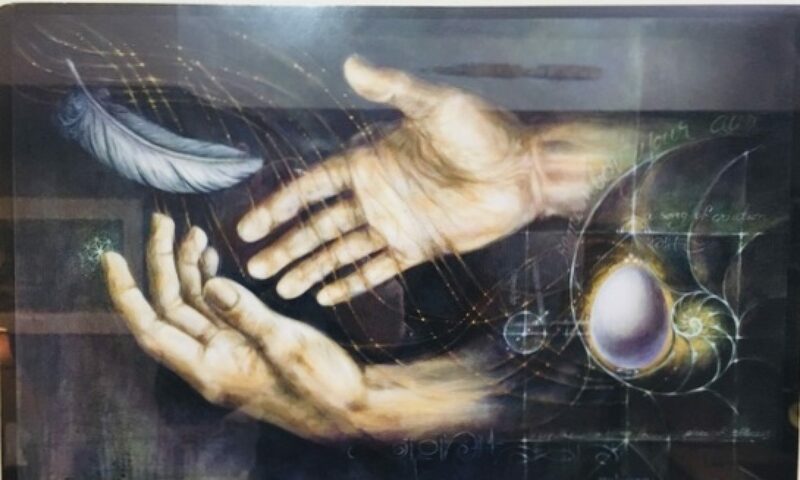 The purpose of the Authentic Voice cards is to help you to recognize the inner voices as well as to develop a compassionate understanding of how these voices both serve us and limit us. Once you have identified a voice you can then invite in and embrace the opposite voice that has been hidden from your awareness usually for a very long time. Each Authentic Voice Card has a sentence that can represent that voice, however, it important that you listen to what your own voice would say. The Authentic Voice cards are based upon a psychological model developed by Dr. Hal and Sidra Stone called Voice Dialogue, the psychology of the selves and the aware ego process. This groundbreaking, powerful work enables us to make better choices in life through developing awareness of the messages from the voices of our internal dialogue. 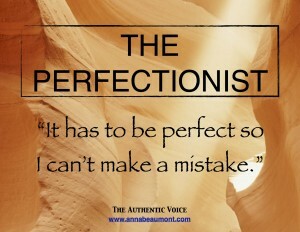 The Authentic Voice Cards are not about trying to ‘get rid of’ or to ‘eliminate’ these voices within us but to learn about them and to develop a greater awareness of the voices to find freedom and wholeness. Doing this process will help to develop a stronger awareness in you to be able to make healthier choices which will free your voice and free your creative expression.